Work from Home in Singapore by Promoting Singapore Top School Papers Online! Do you want to have a Time-Proven Online business? You should know that every parents nowadays in Singapore know the importance of giving their children to practise the papers. The product itself already very sellable, without a need to prove it to you, because the moment you look around, you can see it with your own eyes. If you are a tutor or teacher yourself, you should know even better. What if I know the product is very sellable, but how I am going to get it started? It is pretty easy. I have done the website for you, with step-by-step ebook to guide you how and where to upload your website, and how to promote them through internet. My name is Mr K L Chua, the founder of MATHS SPECIALIST, who own a Top-Ranked Website www.filomaths.com and a blog www.filomaths.blogspot.com. Bishan-Toa Payoh GRC - Mr Zainudin Nordin. I have been promoting Singapore Top School Papers since 2007, and it gives me EXTRA thousands of dollars BONUS every years, just by doing almost nothing, except checking my Paypal Account. How the idea of Top School Papers Website comes about? Due to many parents looking for part-time jobs, and they asked me if it is possible to let them sell the top school papers as well. I discussed with my partners, and of course my web designer, and come out this website, so that parents, teachers, tutors or anyone, can simply sell Top School Papers online without much capital, and the best part is ... the product itself can sell very well. That will significantly reduce the need to explain the need and why the product is good. Now, you are going to get the website that I have, for yourself, to create an EXTRA Income Online soon, simply by Working from Home! SGD$4000 by spending just 1 hr a day, for a period of 1 week! After which, you don't have to do much thing, except checking your paypal account to see HOW MUCH you have Earned everyday, and SHOUT 'WOOOOW' every morning. : Having over SGD $4000 and is still counting. if I can do it, You can do it too!" c) to promote your website for FREE and effectively. 3 SIMPLE Things that You Need to Do after Getting the Website? 3) Promote Your Website for FREE on Facebook, Twitter, Instagram, Gumtree, and etc. Do you have a Web Hosting to Host the Top School Papers 2016 Website? If 'NO', to Get a Reliable Web Hosting from Just $1 per month Only. Your customers will just buy Top School Papers Online directly from you, through your Top School Papers 2016 Website. After which, they will be directed automatically to a page to download the Papers. Top School Papers are one of the HOTTEST Products in Singapore. Get a Share of this BIG Pie Today! I have a SHARE already! What about You? How much is the Top School Papers 2016 Website? We have 3 Cost-Saving Packages for You to Get Ready to Make Even MORE REAL Money Online! Want to Refer Students to Us & Get Paid? you the download link in just 24 hours. Internet Marketing Course for FREE! 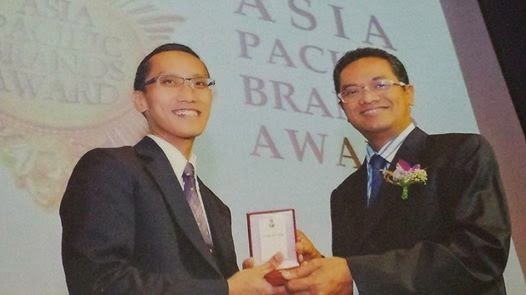 our Founder - Mr K L Chua, on Internet Marketing. all PHs, New Year's Eve, CNY's Eve, and Christmas Eve. even after the 30 Days.